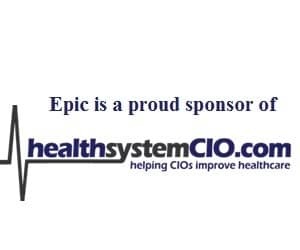 You know pagers have gone the way of the dinosaurs, and you’re sure a cutting-edge clinical communications system is critical if your organization is to deliver the superior care it must to succeed in a value-based world. But you also realize that knowing where you need to go is only half the battle. In this timely webinar, you’ll learn not only about the technical and change-management aspects of how to select and implement a clinical communications system, but how get the most bang for your buck by getting it used across every department in your health system. You’re sure a cutting-edge clinical communications system is critical if your organization is to deliver the superior care to succeed in a value-based world, but knowing where you need to go is only half the battle. In this timely webinar, you’ll learn not only about the technical and change-management aspects of selecting and implementing a clinical communications system, but how to get the most bang for your buck by ensuring adoption across every department in your health system. 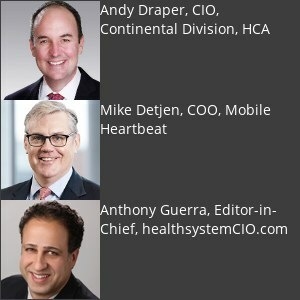 About our Sponsor: Mobile Heartbeat is a leading provider of enterprise mobility clinical communications and collaboration solutions that improve clinical workflow and provide secure team communications, enabling better patient care at a lower cost. The company’s Unified Clinical Communication and Collaboration platform, MH-CURE, gives clinicians what they want and need: simple, secure access to their patients and other care team members with clinically relevant patient information—no matter where they are. Based upon its Clinical Unified Results Enterprise (CURE) technology, MH-CURE dramatically improves clinical workflows across the enterprise, freeing clinicians to focus on what they do best: care for their patients. For more information, visit https://www.mobileheartbeat.com/. Interested in learning more about our advertising programs? Subscribe to our Marketer’s Bulletin for the latest offerings and programs, browse the Advertise tab of our Web site, review our Media Kit, or contact Director of Sales & Marketing Nancy Wilcox (303-335-6009).